Come To The Hackaday Cambridge Mini Unconference! Hackaday would like to invite you to a Mini Unconference on Saturday 16th of March, hosted by our friends at Cambridge Makespace, UK. One of our most successful engagements with our community over the years here at Hackaday has been the Unconference. A group of you our readers join us for a while and deliver a series of 8-minute lightning talks about what is on their mind. This could be a project, a trend, a technological discovery, or whatever, and they combine to form a fascinating cross-section of the state of our world at any given time. Delivering a talk isn’t essential so don’t worry if you’re shy, but we hope that many of you will have something to share. This is a mini unconference since we have room for only about fifty or so people in a more intimate venue. Cambridge Makespace is a successful hackerspace in the British university city, and they have been so kind as to host the event for us in their classroom. We’ll convene after lunch and have two afternoon sessions with a break for coffee and snacks, and finish up by getting some pizzas in before heading out to enjoy what Cambridge has to offer. Places are limited, so if you know you are going to be able to make it to Cambridge, sign up without delay. The amount of technology in modern cars is truly staggering. Heated seats, keyless entry, and arrays of helpful cameras are all becoming increasingly common in all but the cheapest of models. [mathisox] drives a slightly older Volkswagen van, which has been converted into a camper. Unfortunately, it lacks a proper door ajar display. Nevermind that, though – there’s a charming solution to this problem. Rather than stick to the automotive standard of boring indicator lights and low-resolution LCD displays, [mathisox] took a more analogous approach. A small model car matching his van was sourced and quickly gutted for the project. It was then fitted with servos to open and close the doors and rear hatch. The servos are controlled by an Arduino Nano, which reads the door switches in the vehicle and actuates the appropriate parts on the model. With the model car stuck prominently on the dashboard, it serves as a clear visual indicator of the current status of the vehicle’s doors. It’s far less intrusive than those old Chryslers which repeatedly insisted that a door is a jar. Generating random data is incredibly hard, and most of the random data around you isn’t truly random, but merely pseudo-random. For really random data, you’ll have to look at something like radioactive decay or *holds up spork* something like this. YouTube commenters will also suffice. The idea of using random data for generating musical notes is nothing new, but [Danny]’s experimental MIDI controller is something else. It’s a MIDI controller with the control removed, generating random musical notes based on radioactive decay. 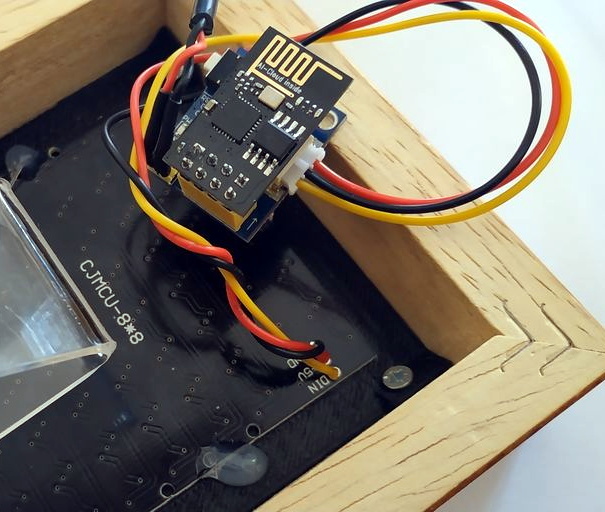 The design of this controller is based on an off-the-shelf Geiger counter kit attached to an Arduino. The Arduino code simply counts up in a loop, and when the Geiger tube is triggered, an interrupt sets off a bit of code to generate a MIDI note. That’s simple enough, but where this project excels is its documentation. There’s a zine going through all the functions of this MIDI controller. There are single note or sequencer functions, a definable root note and scale type, an octave range, and velocity of the note can be set. This is just a MIDI controller and doesn’t generate any noise on its own, but the video of the device in action shows off the range. [Danny] is getting everything from driving bass lines to strange ambient music out of this thing with the help of some synths and samplers. All the code and necessary files are available on the GitHub, with the video available below. George Mallory, a famous English mountaineer, once suggested that it was of no use to climb mountains. Instead, he posited, the only reason to climb a mountain is because it is there. Likewise, when you become an expert in nurse call systems like those found in hospitals, you may find that you do things with them that are of similar use. Making a Turing-complete nurse call system is something you do because you can. [Erik] has been working on this particular call system, known as Netrix, and used Wireshark to sniff out all of its protocols. With this information he realized that it would be possible to use the system’s routing features to perform all of the tasks that any Turing complete system can do: conditional branching and memory access. He set up a virtual machine and set about implementing all of these tasks using the nurse call system’s features. The setup for this project is impressive, and belies an extensive knowledge of this one proprietary system but also of computer science in general. It’s interesting to see how something can be formed into a working computer system from parts that otherwise might not be used that way. Even things that aren’t electronic can be used as Turing-complete computers.